Before 1910, the creation of the Union of South Africa, the Parliament Buildings housed the bicameral Parliament of the Cape of Good Hope which functioned as the Legislature of the Cape Colony. It consisted of the House of Assembly and the Legislative Council. In 1910, the Union of South Africa was established, unifing the Cape Colony, the Natal Colony, the Transvaal Colony and the Orange River Colony. With the unification of South Africa came the establishment of a new parliament, the Parliament of South Africa. The Parliament was bicameral and consisted of the Senate, and the House of Assembly (known as the Volksraad in Afrikaans), with the King of the United Kingdom as the monarch and head of state. In 1961, the Republic of South Africa was established, severing its ties with the United Kingdom. The only change made to the composition of the Parliament was the replacement of the British Queen with the State President. A few significant changes were made later: Coloured representation was ended in 1968, leaving both the Senate and the House of Assembly representing white voters only; the Senate was abolished in 1981, changing Parliament to a unicameral legislature; and South West Africa ceased being represented in Parliament from 1977. In 1984, a new Constitution was introduced and it established representation for the Coloured and Indian populations in separate houses. It retained the existing House of Assembly for whites, and established a House of Representatives to represent the Coloureds, and a House of Delegates for the Indians, making Parliament a tricameral legislature. Blacks continued to be excluded. In 1994, with the end of Apartheid and the election of a new Government, a new interim Constitution was introduced. The interim Constitution introduced non-racial democracy and represented all men and women of all races on equal terms. Parliament was reconstituted to consist of a Senate and a National Assembly. The Senate consisted of 90 senators, ten nominated by each of the nine provinces. It was chaired by a President of the Senate elected by the senators from amongst themselves. The National Assembly consists of 400 Members of Parliament (MPs), elected by voters on a proportional representation/party list system. Each political party is allocated a number of seats proportionate to the percentage of the votes it receives across the country during the general elections. Parliament is chaired by a Speaker elected by the MPs from among themselves. In 1997, the revised, final Constitution of South Africa came into effect, in which the Senate was replaced by a 90-member National Council of Provinces (NCOP), made up of a 10-member delegation from each province (six delegates elected by the provincial legislature, the Premier, and three other members of the provincial legislature). The NCOP is chaired by a Chairperson elected by the members from among themselves. Cape Town is the Legislative capital, Pretoria the administrative capital and Bloemfontein the Judicial capital. Parliament is a representative body holding supreme legislative powers within the state. The democratically elected parliament of South Africa came into existence after the general elections of 1994. The Constitution was adopted as the supreme law, and laid the foundation for a democratic society – a single sovereign democratic state where governance is exercised through Parliament, the Executive and the Judiciary. 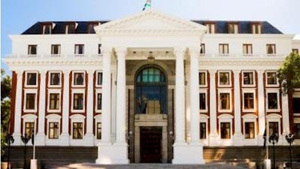 Parliament consists of two houses: the National Council of Provinces (NCOP) and the National Assembly, each with its own separate roles and rules. However, at times they act together to conduct what is known as joint business. The responsibilities of the National Assembly include: choosing the head of state as well as acting as a National Forum where issues are debated publicly; it is also responsible for overseeing and closely and thoroughly examining the actions of the Executive. 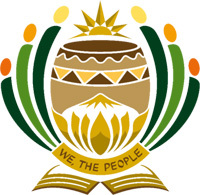 The NCOP ensures that the Provinces are delivering services to the people as mandated by the Constitution of the Republic of South Africa, and provincial interests are looked after and taken into account in the national sphere of government. Making sure that the work that government promises to do is indeed being done. Parliament’s role further includes promoting the values of human dignity, non-racialism, equality, the supremacy of the Constitution, non-sexism, multi-party democracy and universal adult suffrage. The Parliament promulgates legislation that prohibits unfair discrimination, upholds citizens’ political rights and the basic values and principles governing public administration, and oversees the implementation of constitutional imperatives. It also facilitates public involvement in legislative and other processes as it has the responsibility to promote the principle of co-operative government and intergovernmental relations. It is required, by the Constitution, to assist and protect the courts and state institutions, to ensure fairness, dignity, independence, accessibility and the effectiveness of these. At its first sitting after a general election, the Parliament elects the Speaker, the principal office bearer of the Assembly. The Speaker’s responsibilities include constitutional, statutory, procedural and administrative powers and functions. The Speaker is equivalent in rank to a Cabinet Minister. Though the Speaker is a member of a political party, he or she is required to act fairly and protect the rights of all parties. The duties of the Speaker fall broadly into three categories, namely: presiding over sittings of the House, maintaining order and applying its rules; acting as representative and spokesperson for the Assembly and (with the Chairperson of the Council) for Parliament; and acting as chief executive officer for Parliament, in conjunction with the Chairperson of the Council. Speakers of Parliament since 1994 include: Dr. Frene Noshir Ginwala who was the first democratic Speaker of Parliament from 1994 to 2004. Baleka Mbete became the second Speaker of Parliament (2004 to 2008). She was re-elected the Speaker of the National Assembly in 2014, the position she currently holds (2015). Gwen Lindiwe Mahlangu-Nkabinde became the third Speaker of Parliament from 2008 to 2009. In 2009, she served as deputy minister of Treasury and in 2010 she was appointed Minister of Public Works. Vuyisile Max Sisulu became the fourth Speaker of Parliament. He succeeded Gwen Mahlangu-Nkabinde from 2009 to 2014. He became the first post-apartheid male Speaker of the National Assembly as well as the first black male to hold this position. Sisulu, a member of ANC, is the son of ANC stalwarts Albertina Sisulu and Walter Sisulu. He is a member of the Finance Committee, the National Working Committee and head of the ANC Economic Transformation unit. South Africa’s Parliament has various committees which are proportionally representative of the political parties in Parliament. Committee meetings are open to the public; however, they may be closed if there is reason to do so. The different committees have one or more of the following functions:(a) they monitor and oversee the work and budgets of national government departments and hold them accountable; (b) they consider and amend Bills, and may initiate Bills; (c) they consider private members’ and provincial legislative proposals and special petitions; (d) they consider international treaties and agreements; (e) they examine specific areas of public life or matters of public interest; (f) they take care of domestic parliamentary issues, having the power to call upon any person to appear before them to give evidence or produce documents; and (g) they may require any person or institution to report to them. Committees may also receive petitions, representations or submissions from the public. Each Committee is headed by a Chairperson. The African National Congress (ANC) is the dominant party and the majority party in Parliament since it came to power after winning the first Democratic election held on 27 April 1994. The party won the elections with 62.6%, securing 252 of the 400 seats in the National Assembly (Parliament). Nelson Mandela became the first black head of state, the President. Mandela retired as the head of state when his term ended and was succeeded by Thabo Mbeki. The second democratic elections took place in 1999 and the ANC won the general elections with 65.85% of the vote, securing 266 seats in the National Assembly. The ANC won the third general elections which were held in 2004, led by Thabo Mbeki. The ANC won 69.69% of the vote with 279 seats in the National Assembly. In 2007, President Mbeki lost the presidency of the ANC and was succeeded by his former deputy president Jacob Zuma. The following September 2008, Mbeki was recalled as the country’s president and was replaced by ANC deputy president Kgalema Motlanthe. These events led to the formation of the Congress of the People (COPE), a breakaway by a number of ANC leaders who were close to Mbeki. In the 2009 general elections, the ANC won with 65.9%, securing 264 seats in the National Assembly. Jacob Zuma became the President of the country. In the 2014 general elections, the ANC’s votes decreased when the party secured 62.1% and got 249 seats in the National Assembly. 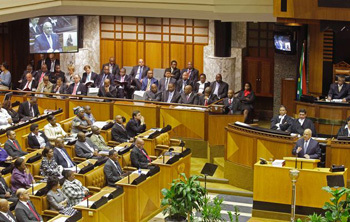 The current political parties represented in Parliament are the African National Congress (ANC) with 249 seats, the Democratic Alliance (DA) with 89 seats, the Economic Freedom Fighters (EFF) with 25 seats, the Inkatha Freedom Party (IFP) with 10 seats, the National Freedom Party (NFP) with 6 seats, the Freedom Front Plus (FF+) with 4 seats, the United Democratic Movement (UDM) with 4 seats, the African Independent Congress (AIC) with 3 seats, the African Christian Democratic Party (ACDP) with 3 seats, the Congress of the People (COPE) with 3 seats, Agang South Africa (Agang) with 2 seats, and the Pan Africanist Congress (PAC) and African People’s Convention each with 1 seat.